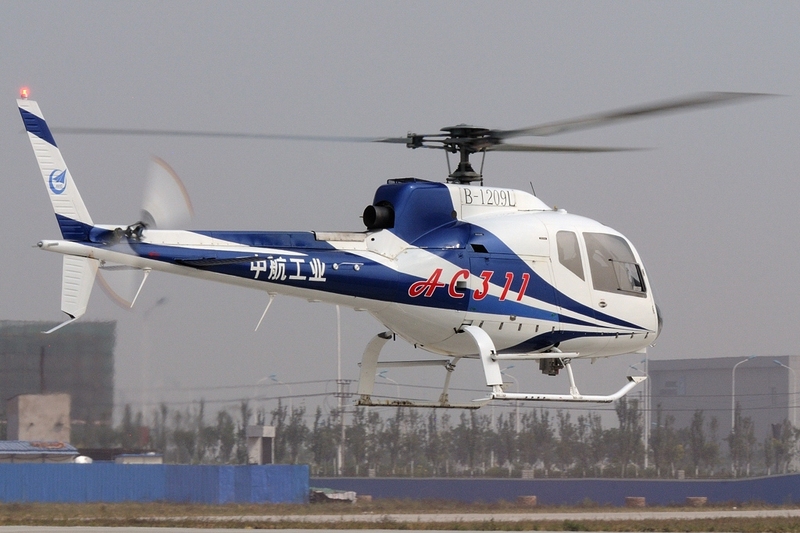 The AC311, also known as the Z11M-100 as a variant of the Chinese military Z-11, is a 2-ton light civil helicopter developed by AVICOPTER; certificated by CAAC in June 2012 and passed AEG evaluation; its maiden flight was in November 2010 and initial deliveries were in June 2013. The AC311 is a single rotor general layout light helicopter consisting of a 2 pilot+4 pax / 1 pilot+5 pax cabin and twin-skid landing gear. 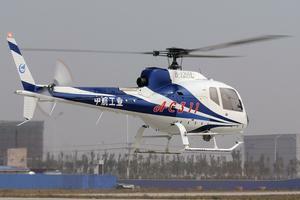 Either HONEYWELL LTS101-700D-2 or TURBOMECA Arriel 2B1A (with the locally produced designation of WZ8D) powerplants are used. Maximum internal and external payloads are 900 kg and 960 kg, respectively. The maximum fuel weight is 423 kg. 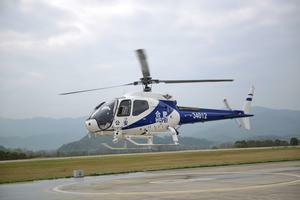 *Airframe length: Measured from the front of the frame to the end of the tail boom, excluding rotors and rudders. 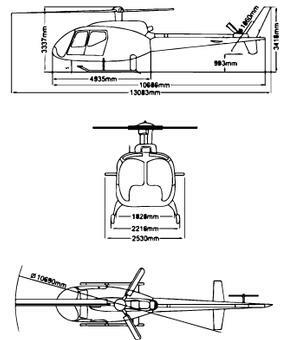 **Cabin Dimensions: External measurements - Length measured from front of airframe to the start of the tail boom. Resources related to the AC311 Air Sprite, provided by the Vertical Flight Society. Resources related to the AC311 Air Sprite, provided by public sources across the internet.